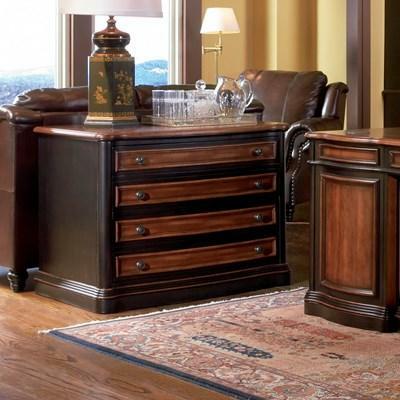 Clean lines and functionality describe this home office group. 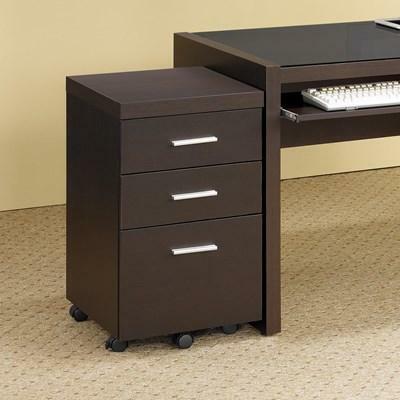 The top desk features a keyboard tray and pairs perfectly with the matching computer stand. 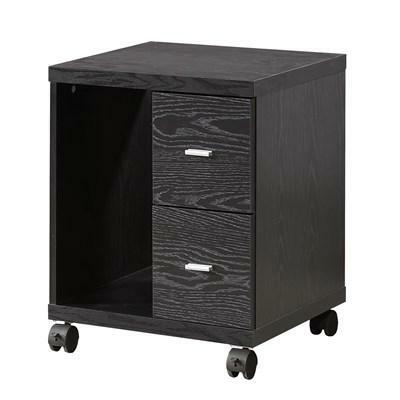 Bookcase or mobile file cabinet. 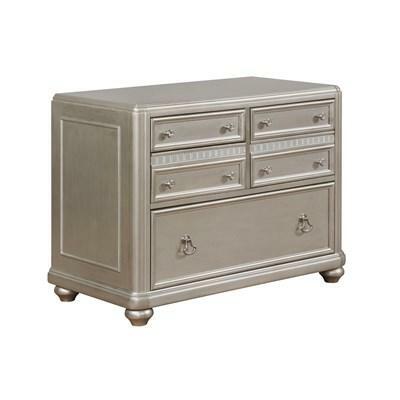 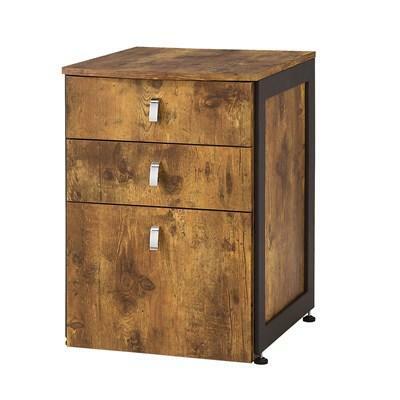 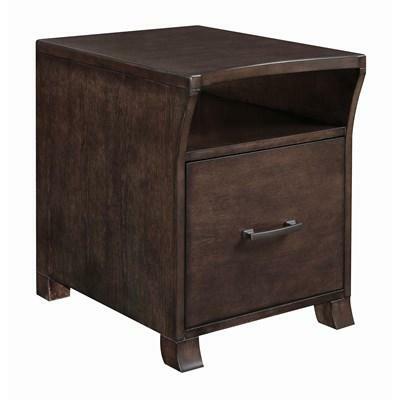 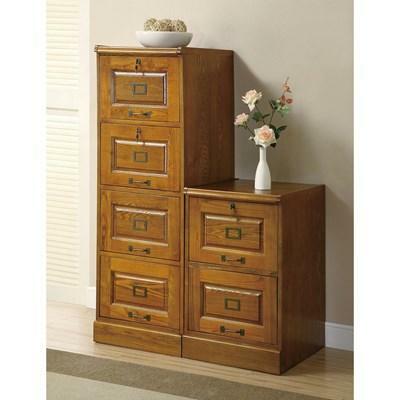 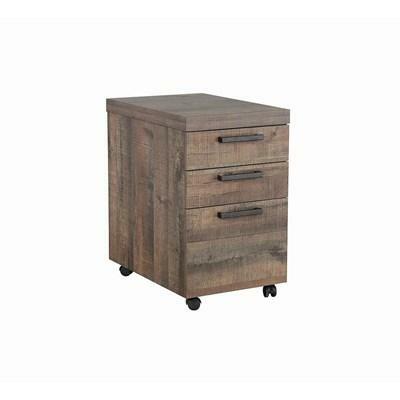 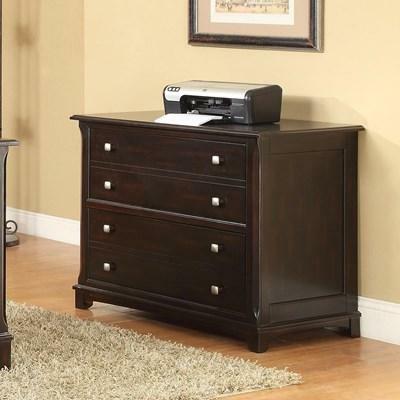 This Skylar mobile file cabinet has a cappuccino finish and features three drawers adorned with silver finished hardware. 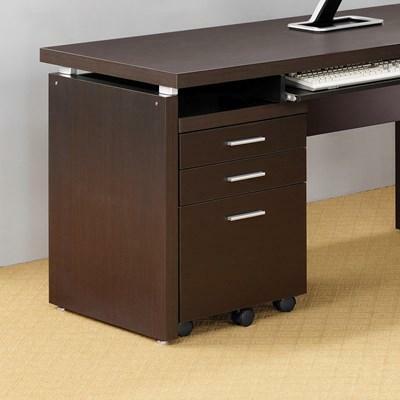 It stands on casters for easy mobility.